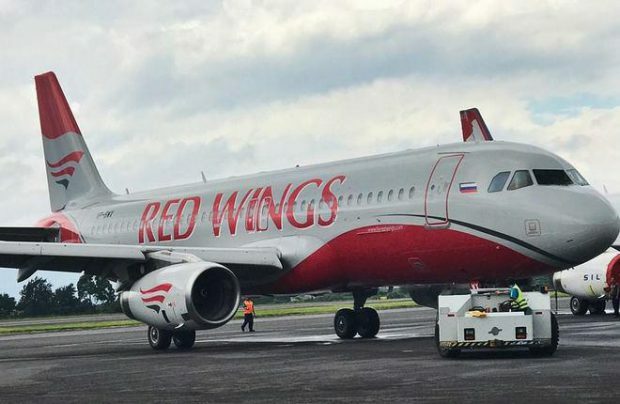 Red Wings Airlines, which has until quite recently operated only Russian-built aircraft, is now building up a fleet of Western-built airliners. On July 6, the carrier announced the arrival of yet another Airbus A320 at its base airport Domodedovo outside Moscow. The aircraft is the fifth of the type in the airline’s fleet. The newly delivered aircraft (VP-BWX) was reportedly built in 2005. It was previously operated by Brazilian carrier LATAM Brasil (known as TAM Airlines before 2016). The airplane is to enter commercial service with Red Wings within several days. It will operate both scheduled and charter flights. Red Wings opereates two more A320s and two A321s. All these aircraft are believed to have been built between 1998 and 2004. Another A320 delivery is expected shortly. By 2020, the carrier intends to have brought its A321 fleet up to 10. As earlier reported, all of Red Wings’ Western-built aircraft are operated under 6-year lease contracts. The airline stresses that delayed deliveries through the lessor’s fault caused disruptions in its schedule and cancellations of a number of flights in June. Initially, all the six A320 family airliners were scheduled to arrive before July 2. Red Wings took delivery of its first A320 family aircraft in May 2017. The carrier says that it needs the airliners to launch routes that will later be operated by its Irkut MC-21 new-generation narrowbodies. The airline is considering placing an order for 16 such aircraft, which will replace both its A320s and also the six Tupolev Tu-204s and a single Tu-214 it currently operates.